Fire Chief Marlon Gentle believes that this morning’s fire may have been caused by “some kind of domestic” activity within the household. The fire occurred sometime around 4:00hrs, and has since left two children dead, while their mother and another sibling is hospitalized with burnt wounds. 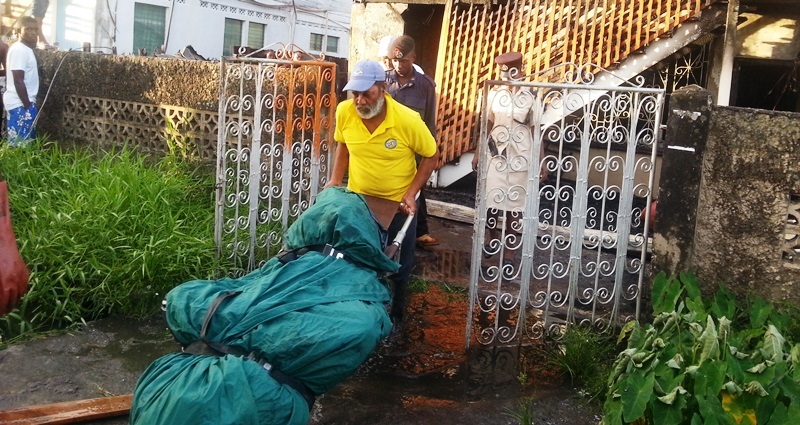 Adam Marshall, 11 years; and Shania Marshall, 8 years were burnt to death to during the fire at their 71 Joseph Pollydore Lodge home, while their mother Odessa Thomas, 36 years, and 13 – year – old brother suffered burns to their hands and are being treated at the GPHC. According to Mr. Gentle, the Fire Service received the first call around 4:30hrs and the units were immediately dispatched. He told reporters that by the time fire fighters arrived at the scene, the building was completely engulfed in flames and there were reports of persons unaccounted for. “From all appearances, these persons were trapped and could not have made it out of the building. It is clear to me from what I’m seeing that the persons were trapped in the rooms and the fire started somewhere between those two rooms,” the Fire Chief said. He made it clear that the building was not powered by legitimate electricity. However, this is still to be verified. 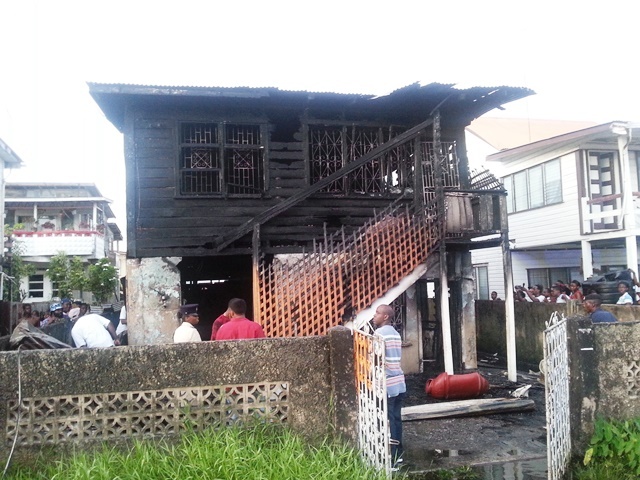 The Fire Chief stressed the point of persons taking their own personal fire safety in the homes more seriously. “It’s clear from what I’m seeing here the fire was internal and was caused by some kind of domestic activity,” Mr. Gentle said.